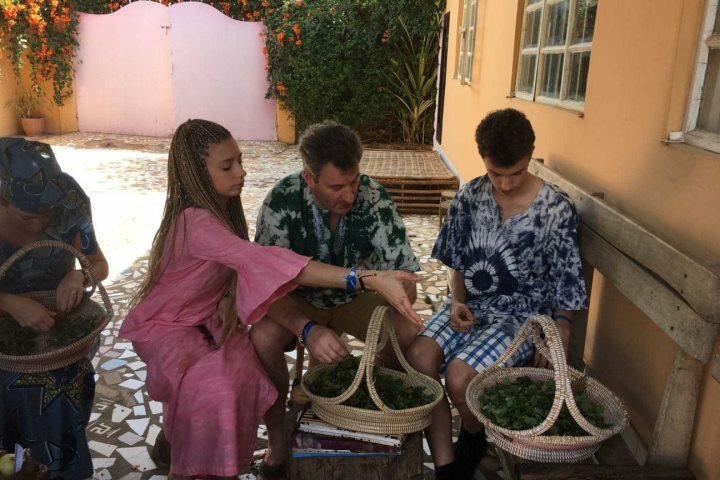 The Sinclair family recall their experiences from their recent holiday staying at the Sunbeach Hotel in The Gambia with The Gambia Experience. What made you choose to visit The Gambia? We wanted to go somewhere with guaranteed sunshine and friendly people, a place to relax but also experience something different. 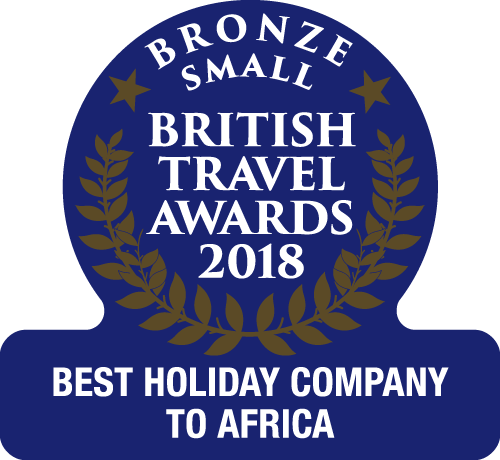 The Gambia is perfect for that as you can either sit around the pool and be pampered by wonderful hotel staff, or you can go out on excursions and experience a totally different culture. 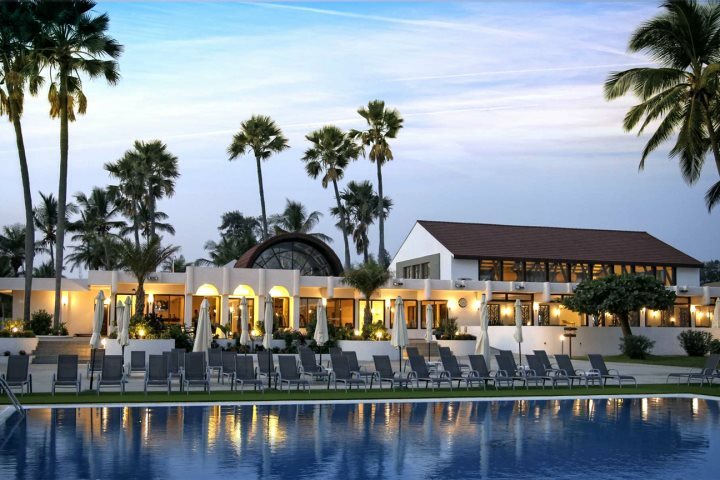 What were your first impressions of The Gambia, The Gambia Experience and Sunbeach Hotel where you stayed? Everyone is friendly and happy; the people at the airport, in the streets, the marketplaces and of course, at the hotel. All needs were met by the hotel staff and our wonderful rep Buba was able to arrange and tailor the excursions we wanted without any fuss. What was it that you enjoyed most about staying at Sunbeach Hotel? The hotel was very comfortable, clean and the food outstanding. Beautifully situated, so close to the beach, it reminded me of romantic destinations we went to before having children! We felt happy for our teenagers to play football on the beach with the local children or play pool games or table tennis with members of staff. They loved it, and being all-inclusive, they could go to the bar for drinks and snacks whenever they fancied. 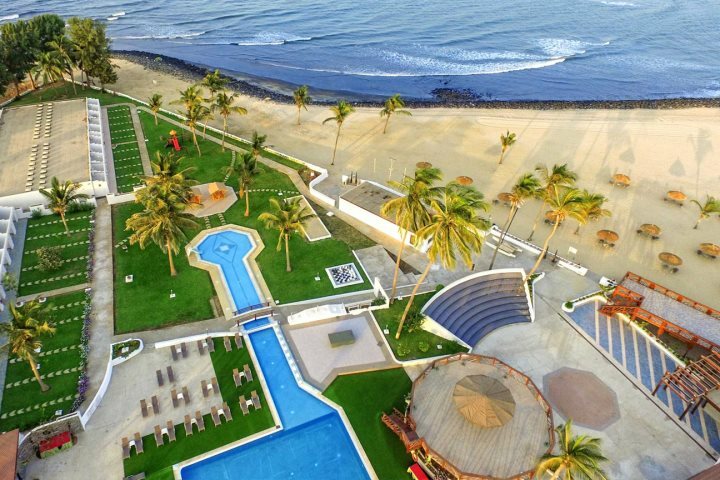 Find out more about Sunbeach Hotel here. Were there any special and unique experiences during your stay at the hotel? It was our daughter's 14th birthday whilst we were there. 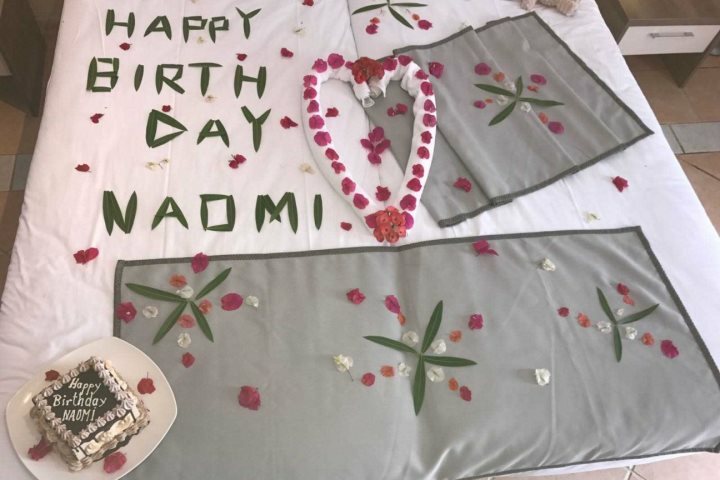 The hotel arranged for a wonderful cake to be delivered to her room and decorated her bed with rose petals. She was delighted and will always remember that special day. Nothing was too much trouble. Our daughter had her hair braided and nails painted at a sister hotel. They did it beautifully and they collected her and brought her back. Everyone was so kind. How did you find the cuisine at Sunbeach? Speaking as a vegetarian, I can say I was well catered for. There were delicious local vegetarian dishes and if there was something you wanted, for instance cheese or eggs, they would prepare you some from the kitchen on request. We have been lucky enough to visit many all-inclusive, 5* hotels in several countries, and we can honestly say the food was comparable and quite delicious. 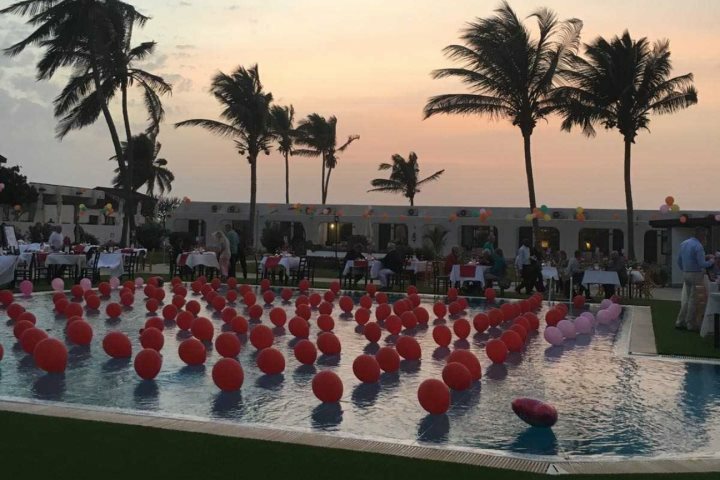 The hotel also went to great efforts to put on a Valentine's Day gala meal when we were there, it was so beautiful with all the red balloons and candlelit tables around the pool. You chose to do a number of excursions and experience the country. What were your excursion highlights? We chose to see The Gambia with a private Land Rover and guide. Our guide was excellent. He was very knowledgeable and spoke fantastic English. He was cheerful and happy to show us all the things we wanted to see. We went to the market where he gave us advice on purchasing items and he ordered our food and drinks at the beach restaurant. He also took us to a school to meet some children and give them some gifts. 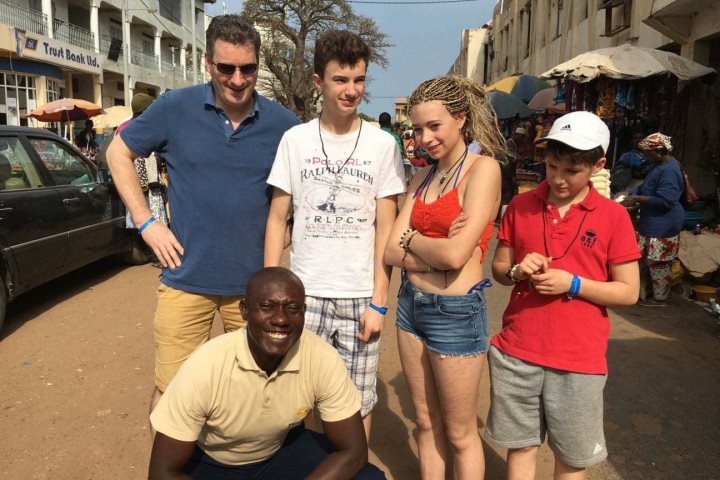 It was good for us all, especially the children, to experience such a different culture, and having a great local guide made us feel relaxed; we learnt so much about The Gambia and its people. Take a look at our entire range of Excursions and Experiences. Were there any other memorable experiences from your holiday in The Gambia? Our other experience was cooking with Ida. 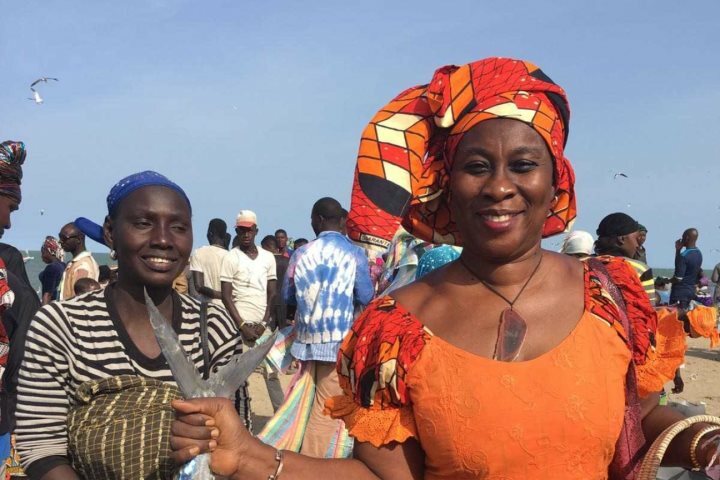 It was amazing, dressing up, visiting the fish and vegetable market on the coast and cooking and eating the most incredible traditional meal. Again she catered for vegetarians. A must for anyone visiting The Gambia. 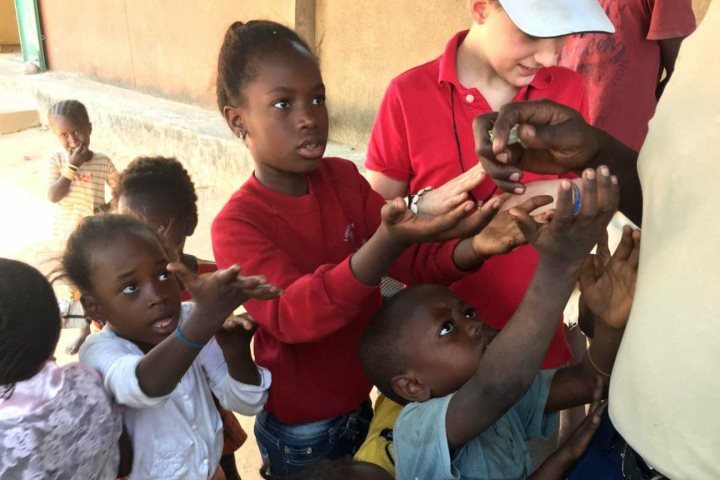 Find out more about the types of holiday you could experience in The Gambia by visiting our Holiday Ideas page.